Participatory Research and Action Group (PRAG) Nepal is a newly established institution to provide customized services to development organizations for research, training and other services. PRAG Nepal has combination of people from public health and social science background and is focused to deliver quality research and training services. 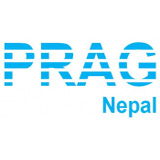 PRAG Nepal is registered with the District Administration Office, Kathmandu and Social Welfare Council.